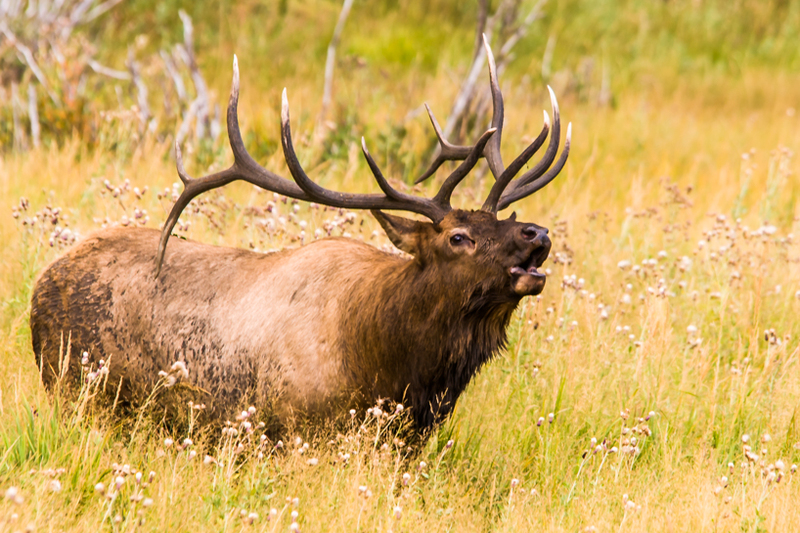 Bull elk bugles in the midst of a fading meadow of flowers. Perfect print for the man in your life with a touch of flowers to go with your decor! Taken in Rocky Mountain National Park, Colorado.